Ospreys, Pandion haliaetus, are large birds that have brown backs, white bellies and distinctive brown stripes through their mostly white heads. They usually reach a length of 21 to 24 inches and have a wingspan of approximately five feet. Ospreys are also known as fish hawks because they feed almost exclusively on live fish. Due to their tolerance of human activity and their adaptability to artificial nesting structures in close association with waterfront residences, Ospreys have become a treasure of the Chesapeake. The Ospreys’ diet consists almost entirely of medium-sized fish, which are captured just beneath the surface by plunging feet-first from flight into the water. They rise into the air by swinging their wings high over their back. Ospreys are basically opportunists, feeding on any species that is plentiful or readily accessible in any body of water at any given time. Their feet are specially adapted to hold onto their catch as they have little spikes on their feet called spicules to help prevent the fish from slipping away. As the bird flies with its catch, the head of the fish is turned to face forward making it more aerodynamic. Their perch high on the food chain proved to be a harmful position in the 1950’s through 1970’s when organochlorine pesticides such as (DDT) adversely affected their reproductive success leading to a population decline. DDT builds up in the Osprey, causing the shell of the eggs to be too thin to hold up during incubation resulting in an unsuccessful nesting attempt. Ospreys would get DDT poisoning by eating fish that had eaten contaminated insects. 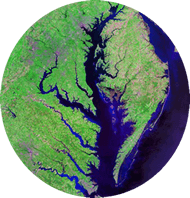 The banning of some pesticides enabled Chesapeake Bay Osprey to increase to an estimated 2,000 pairs by the 1980’s. Talbot County, Maryland is recognized by the National Audubon Society to have one the largest populations of breeding Ospreys. 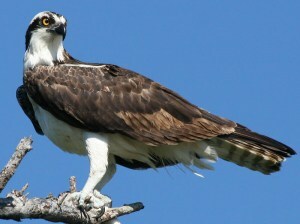 The Osprey population continues to face threats as they breed in North America but return to South America each winter. Young Ospreys stay in South America for two to three years reaching breeding age before returning north. Many South American countries still use insecticides that are harmful to the birds. Some of these are banned from use in the U.S. but manufactured here and then exported to countries where many of our migrants spend their winters. The Ospreys’ geographic range includes shallow water estuarine, river, and lake habitats on all continents except Antarctica. Most winter in the tropics and nest in temperate to sub-arctic latitudes. Ospreys that are three years old or older usually mate for life and Chesapeake Ospreys return to the area in early March, with the males returning a few days earlier than the females. Courtship and nest building or nest repair begin when the pair is reunited. Younger, less experienced birds arrive and initiate courtship a little later. First-time nesters may spend several weeks locating a mate and nest site. Both birds of a pair collect branches and shoreline debris which they use to construct their bulky nest. 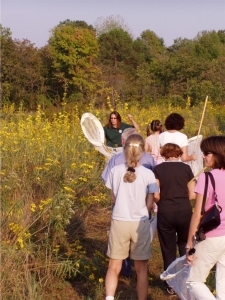 Nests are usually a meter in diameter and are repaired each year when the pair returns. Ospreys readily use man-made structures like utility poles, nesting platforms, duck blinds, road signs, chimneys, and buoys. 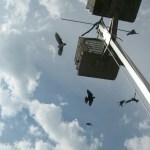 CWH has placed hundreds of platforms in the tributaries of the Chesapeake Bay which are readily used by nesting Osprey. Egg laying and incubation takes place mostly between mid-April and late May, and clutches of two-three beige, chicken-size eggs with blotches of chestnut, olive and brown are incubated principally by the female for 38-42 days after laying the first egg. The male will feed the female during incubation. Nestlings are brooded by the female, fed fish and begin to resemble adults by 40 days of age when they begin preparation for flight at about 55 days of age. Families stay intact near the nest site through July while the fledglings acquire fishing skills. 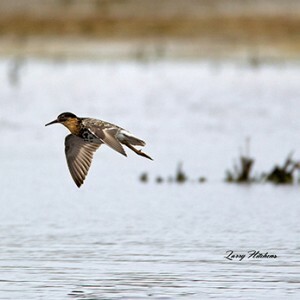 Adults begin fall migration as soon as fledglings become independent. Juveniles normally migrate the last week of August or later along a narrow Atlantic coastal path. They leave the U.S. by September; continue south arriving at their wintering grounds by mid-October. Ospreys winter primarily on the large islands of the Greater Antilles (Cuba, Hispaniola, and Puerto Rico) and many other areas. Juveniles remain south of the U.S. at least 16 months. They do not actively nest until they are three years old. Raccoons are an important predator, having been implicated in 2% of the lost eggs and some young from shoreline and terrestrial nests. The exposed nesting habits of Ospreys make them vulnerable to the much larger eagles and to nocturnal predation by the powerful great-horned owl.